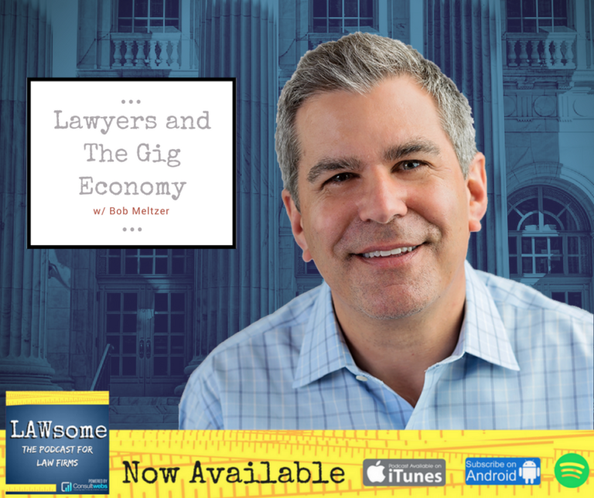 Lawyer Exchange founder and CEO Bob Meltzer was recently interviewed by Jake Sanders and Paul Julius, the hosts of the LAWsome podcast . In this episode they discuss freelance lawyers, the gig economy, afind out why so many lawyers leave the profession. They also speak with Bob Meltzer about about the Lawyer Exchange legal work-sharing platform and how law firms can operate more efficiently in the future. The LAWsome podcast and episode image are produced and created by ConsultWebs. Follow LAWsome on Twitter and Facebook.